Have you ever wanted to find a lip balm that is both organic and affordable? 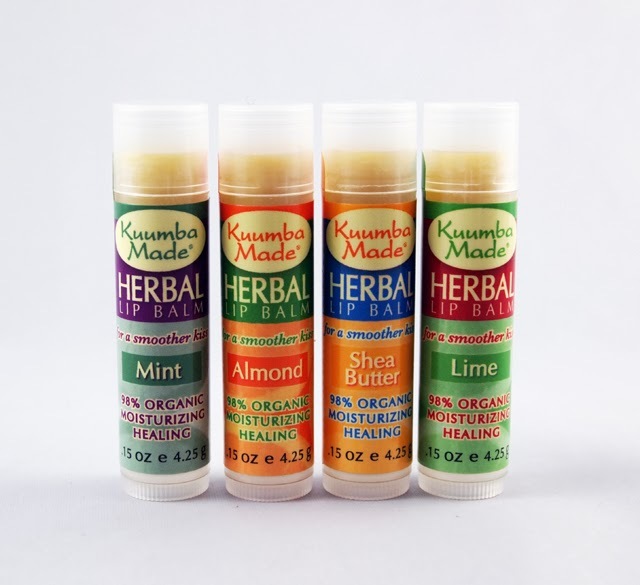 Kuumba Made offers a line of balms that are 98% organic and retail for just under $3 apiece. They come in four flavors, including shea butter and my favorite, almond. This lip balm has a sturdy texture that softens when applied. I love how it is almost entirely organic and made with very gentle ingredients. It is quite safe, rating about a 1-2 on the EWG Skin Deep database. The current formula contains beeswax, so I'd love to see a vegan version in the future. 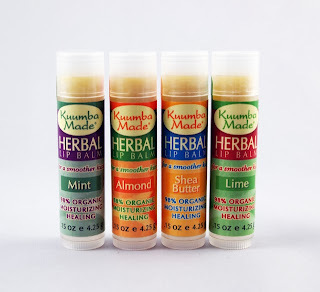 If you know a lip balm enthusiast, Kuumba Made also offers sets of both their balms and their shimmers (click here for my review). Kuumba Made has a handy store locator, but you may need to order online for the best selection. If you're looking for a gentle lip balm that is both affordable and is mostly organic, this is a nice option.